Healthcare related costs are a major problem for many Americans who are uninsured and underinsured, even if they are relatively healthy. For people with a serious medical condition these financial problems can be even worse. One diagnosis that finds many patients in an expensive position is HIV/AIDS. A diagnosis of HIV or AIDS comes with a hefty price tag, according to study on NBC news, “An American diagnosed with the AIDS virus can expect to live for about 24 years on average, and the cost of health care over those two-plus decades is more than $600,000, new research indicates… The researchers estimated the monthly cost of care at $2,100, with about two-thirds of that spent on medications.” For patients without insurance these costs are extremely daunting. Luckily, there is a program to help uninsured and underinsured AIDS patients – the Ryan White HIV/AIDS Program, formerly known as the Ryan White CARE (Comprehensive AIDS Resource Emergency) Act. 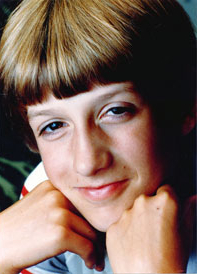 Ryan White was diagnosed with AIDS at the age of 13 on December 17, 1984. At the time AIDS was still a new and very scary diagnosis, and Ryan was the first child to be diagnosed. He was born with hemophilia, a rare disorder that causes the blood to not clot normally leading to excessive bleeding. Hemophiliacs routinely need to receive blood transfusions, and at the time AIDS was such a new disease that it was not screened for. Unfortunately Ryan had a transfusion with blood from a donor with AIDS. He became a national figure after his school refused to let him return due to his condition, making national headlines. Ryan lived for another 6 years, passing away on April 8, 1990. The Ryan White HIV/AIDS Program is for patients with HIV/AIDS who are also low income. Specifically the patient must “be diagnosed with HIV or AIDS. Have an income too low to pay for care. Have no health inurance or not enough insurance to pay for the care you need.” In addition to patients diagnoses with HIV/AIDS, their family may also qualify for financial assistance. The amount of assistance a patient gets depends on a number of factors, mostly their insurance status and income. Patients without any insurance and a low income will have more services covered. Services offered include: primary care, Lab/X-Ray/diagnostic tests, medical equipment, transportation, education, HIV post-test counseling, medical case management, drug assistance, home health care and many more. The effects of the Affordable Care Act on the Ryan White HIV/AIDS Program look to be generally positive, however there are a lot of details to sort through. According to the U.S. Department of Health and Human Services, “The Affordable Care Act (ACA) is an historic opportunity for people living with HIV (PLWH), including those currently receiving services through the Ryan White Program, to increase their access to affordable, quality health care. Many Ryan White clients will gain access to health insurance or see their current health insurance improve. These transitions will require thoughtful and careful coordination between the federal government, state and local governments, Ryan White Program grantees, and clients.” For more information on the ACA and it’s effect on the Ryan White HIV/AIDS Program click Here. We list each program under State Sponsored Programs, a sub-category of Government Programs. Click on State-Sponsored Programs, find your state, and the Ryan White HIV/AIDS Program will be listed on that page. In some states the Ryan White Program is listed as part of the AIDS Drug Assistance Program (ADAP) and in a few states the program is simply named AIDS Assistance or CARE. Samuel works in a number of different areas at NeedyMeds. He provides IT support - managing the phone system, server and network while also troubleshooting computer problems as they arise in the office. He also prints drug discount cards and manages NeedyMeds' social media outreach. Samuel graduated from Gettysburg College in 2008 with a degree in religion. When not working at NeedyMeds, Samuel spends his time working on a variety of music projects. He lives in Gloucester, MA. Sam can be reached at: samuel@needymeds.org.